On June 19, 2009, the Solemnity of the Sacred Heart, Benedict XVI inaugurated a “Year of the Priesthood” in order to “deepen the commitment of all priests to interior renewal for the sake of a stronger and more incisive witness to the Gospel”. Under the patronage of Saint Jean Marie Vianney, the Pope wished to help priests to revivify the gift of the priesthood which they had received, in order to render their ministry more fruitful. From this perspective, we will try to enter into the pedagogy of Benedict XVI by highlighting the strong intuitions and convictions regarding the priesthood that he has given to the Church by his life and by his teaching. We could have expected the Pope to give counsels and recommendations on how to better live the priestly ministry, but in fact, he did it only secondarily. First of all, he exhorted us to return to the foundations of priestly acts. Benedict XVI invited us to meditate on the identity of priests. The famous formula of the Curé d’Ars, which defines the priesthood as “the love of the Heart of Jesus”, also takes a major place in the thinking of Benedict XVI. The action and lifestyle of priests then follows naturally. In other words, the mission of the priests can only be understood in the mystery of their consecration. 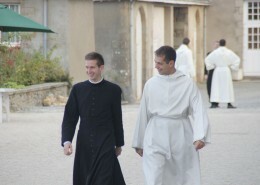 For the priest finds his true identity in his participation in the unique priesthood of Christ, the sole priest in the New Alliance; he is a living and transparent image of Christ the Priest, whose mission he continues. The priesthood of Christ, in its absolute novelty in salvation history, constitutes the sole source and paradigm of the Christian priesthood, and in particular that of the priest. The reference to Christ is thus the essential key to an understanding of the reality of the priesthood. Revivifying the priesthood by a year of the priesthood. A submission full of love of His will. 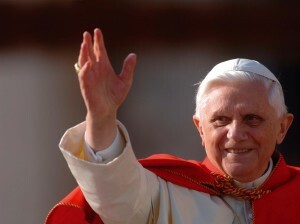 Let us therefore contemplate with Benedict XVI the priesthood of Jesus: “In Jesus, person and mission tend to coincide: all Christ’s saving activity was, and is, an expression of his “filial consciousness which from all eternity stands before the Father in an attitude of loving submission to his will.” Here, it seems clear, the priesthood of Jesus is considered primarily in its theocentric dimension. Jesus is turned towards his Father. It is thus in the intimacy of prayer and silence that Jesus initiates himself into the will of his Father. His mission among the people is only a prolonging of his prayer, that is to say, of his filial relation with the Father. Jesus prays and acts in perfect homogeneous continuity. Jesus passes time freely with his Father and gives himself fully to the people he has come to save. The efficacy of his ministry is rooted in the dependency which he maintains with his Father in prayer. The latter is the soul of all priestly acts. With regard to the manner in which Jesus accomplishes his mission among the people, Benedict XVI insists as well on certain aspects of his ministry. It is without doubt a sensitive manner in which the Pope invites the priests to analyze their proper ministry. In the homily given during Vespers of the Sacred Heart, Benedict XVI gives us a very beautiful meditation regarding the soul of the ministry of Jesus by contemplating his Heart: “The heart of God burns with compassion! On today’s solemnity of the Sacred Heart of Jesus, the Church presents us this mystery for our contemplation: the mystery of the heart of a God who feels compassion and who bestows all his love upon humanity. With Benedict XVI, we understand better the wonder kindled by reflecting on the identity of the priest, who, by his sacramental consecration, is configured to Christ, the Head and Shepherd of the Church. It is this identity which the Holy Father reaffirms, following Tradition, with force and sensitivity. When he speaks about priests and their ministry, the Pope always returns to the question of their identity, reminding them of the bond which unites them to Christ in their very being. 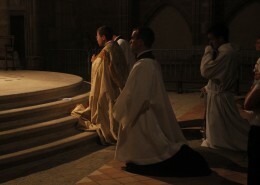 All that concerns the life of a priest is rooted in the manner by which the priest assumes his identity. The place accorded to the Curé d’Ars in Benedict XVI’s Letter to priests is significant. Without being a specialist, the Curé d’Ars knew how to express the grandeur of the priesthood, with the words: “The priesthood is the love of the heart of Jesus.” Benedict XVI thus invites all priests to enter into this perspective. Thus Benedict XVI, prior to any considerations regarding the action of the priest, insists upon the priest’s identification with, and representation of, Christ the Priest. One could say that what priests ought to reflect upon is not so much what they should do as what they should be: “The mission of each individual priest will therefore depend also and above all on knowledge of the sacramental reality of his ‘new being’. His ever-renewed enthusiasm for his mission depends on the certainty of his own identity, not artificially and humanly constructed, but freely and divinely given and received.” In this attention paid to the identity of the priest, Benedict XVI accentuates one consequence of this identification of the priest with Christ. 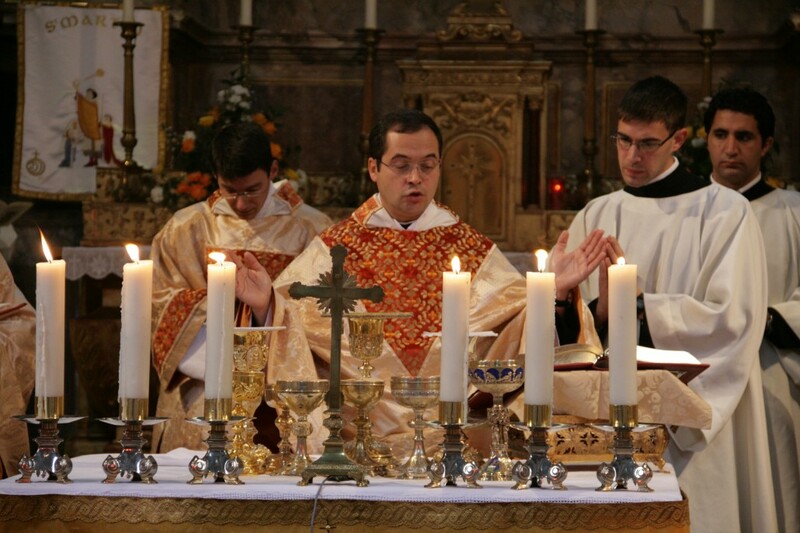 By his priestly consecration, the priest does not belong to himself anymore. 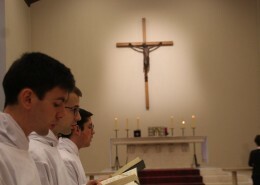 He is henceforward consecrated to the business of the Lord; the gift of the priesthood is granted to him in order that he might speak and act in persona Christi: “In the Sacraments, he dramatically renders visible what being a priest means in general; what we have expressed with our ‘Adsum – I am ready’, during our consecration to the priesthood: I am here so that you may make use of me. We put ourselves at the disposal of the One who ‘died for all, that those who live might live no longer for themselves…’ (2 Co 5:15). Putting ourselves at Christ’s disposal means that we allow ourselves to be attracted within his ‘for all’: in being with him we can truly be ‘for all’.” (Homily of Benedict XVI at the Chrism Mass, 2007). The priesthood is the love of the heart of Jesus. The priest has to clothe himself in Christ. Such an attention paid to the identity of the priest makes us understand why Benedict XVI insists on the existential communion that the priest should establish with Christ. It is the central point of the whole priestly spirituality. The spiritual life of a priest is thus defined as a way of appropriating his new identity, in order to better fulfill his mission. The divine efficacy of his ministry comes at this price. “Letting oneself be conquered by Christ…clothing oneself with Christ…being in an existential communion with Christ”, so many strong expressions used by the Pope in order to exhort priests to holiness. Without denying that priests sanctify themselves through their ministry, the Holy Father simply intends to readjust the focus of view of the ministry that is too much focused on the functional. Yes, priests sanctify themselves through their ministry, but on the condition that they remain in an “existential communion with Christ” in the Spirit. That is why Benedict XVI insists so much on the place of prayer. We will speak more about that in another article. Main page of the portal "Becoming a priest"
The existential communion which the priest has to establish with Christ is the central point to all of sacerdotal spirituality. http://www.communautesaintmartin.org/wp-content/uploads/2014/07/MG_4109.jpg 666 1000 Fidesio http://www.communautesaintmartin.org/wp-content/uploads/2014/10/Logo-CSM-300x73.png Fidesio2018-11-22 07:19:102018-11-22 07:19:10WHAT IS A PRIEST? "All the salvific action of Jesus was and is an expression of his filial self, which, from all eternity, stands before the Father in an attitude of submission full of love to his will." THE COMMUNITY OF SAINT MARTIN: A CHOICE OF THE HEART OR OF THE REASON? 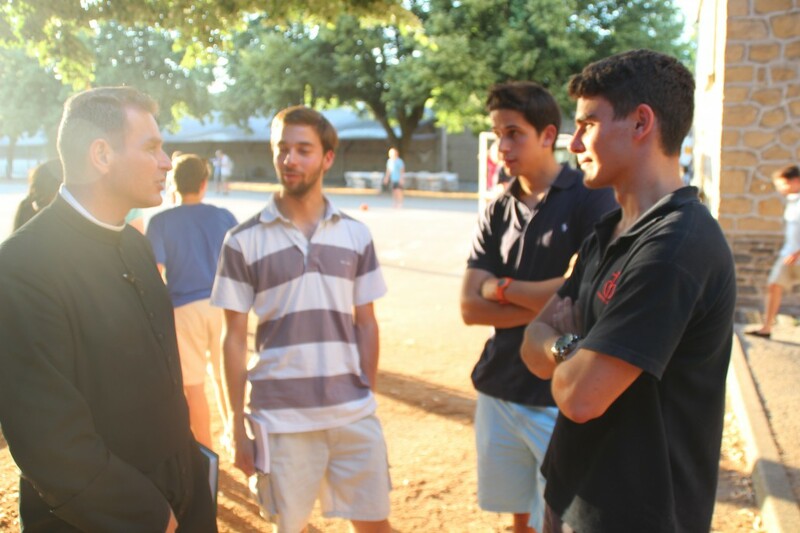 The call that Christ addresses to a man in order to enter our community always includes the encounter with priests in love with the priesthood and the Church. All the seminarians say it. http://www.communautesaintmartin.org/wp-content/uploads/2015/02/pelerinage-lourdes-2014.jpg 3456 5184 Fidesio http://www.communautesaintmartin.org/wp-content/uploads/2014/10/Logo-CSM-300x73.png Fidesio2017-11-09 20:47:152018-03-17 14:09:20THE COMMUNITY OF SAINT MARTIN: A CHOICE OF THE HEART OR OF THE REASON? WHAT IS THE MEANING OF THE PRIESTLY CELIBACY? "All of the saving action of Jesus was and is the expression of his filial self which, since all eternity, keeps itself before the Father in an attitude of submission full of love of his will." http://www.communautesaintmartin.org/wp-content/uploads/2014/12/acolytes-croix.jpg 853 1280 Fidesio http://www.communautesaintmartin.org/wp-content/uploads/2014/10/Logo-CSM-300x73.png Fidesio2017-10-14 13:13:162018-03-07 20:21:33WHAT IS THE MEANING OF THE PRIESTLY CELIBACY? HOW DO I KNOW WHETHER I AM CALLED TO BE A PRIEST? The vocation is a loving call of God which is often manifested in a discrete way. It passes in particular by three things: the desire, the experience and the aptitudes. 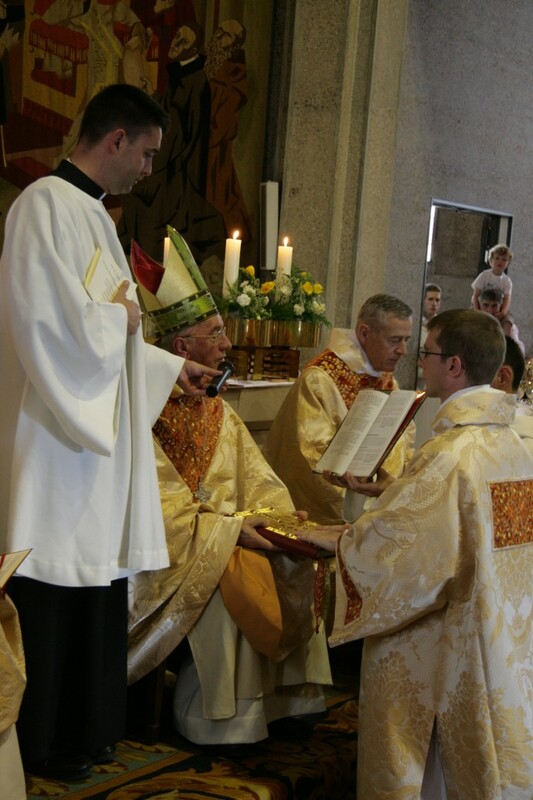 http://www.communautesaintmartin.org/wp-content/uploads/2014/10/20141004-ordinations-diaconales-messe-1.jpg 853 1280 Fidesio http://www.communautesaintmartin.org/wp-content/uploads/2014/10/Logo-CSM-300x73.png Fidesio2017-01-21 14:25:392018-11-22 13:58:57HOW DO I KNOW WHETHER I AM CALLED TO BE A PRIEST?